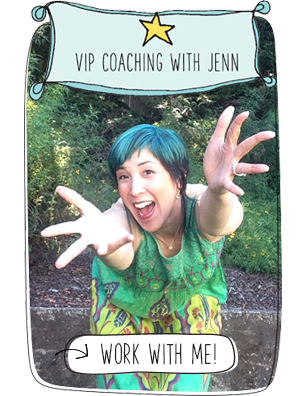 A note from Jenn: Tonight I have the pleasure of attending my friend Christine Mason Miller’s Desire to Inspire book launch in Santa Monica, CA. I can’t wait to celebrate with her and so many of the fellow contributors to this amazing book. I loved Christine’s book Ordinary Sparkling Moments and am now thrilled that she has a new bundle of joy and inspiration to share with the world. Please read on to find out how you can win some of her beautiful artwork! 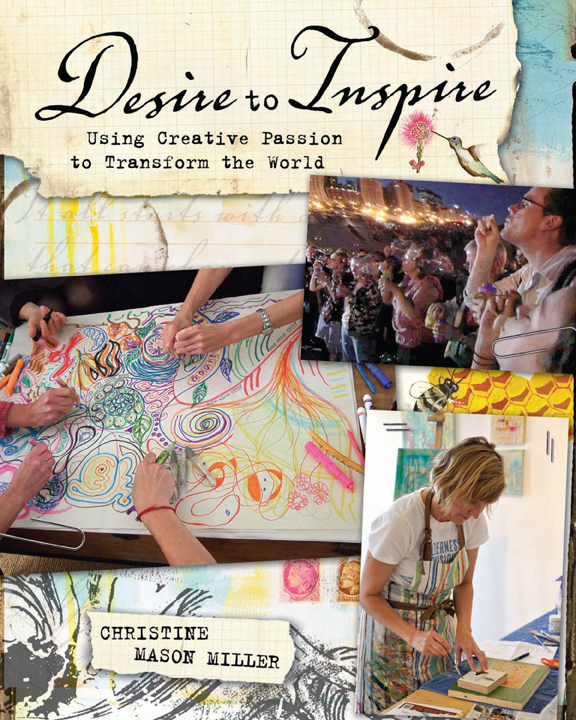 Christine Mason Miller’s latest book – Desire to Inspire: Using Creative Passion to Transform the World – is a collection of stories, exercises, images, quotes, and anecdotes from twenty extraordinary contributors, all sharing insights and experiences of how they create a meaningful life and, in turn, make a positive impact on the world. Each chapter discusses a different aspect of living a passion-fueled life, and this month Christine is offering a 60-Second Snapshot of each chapter as part of her Desire to Inspire Virtual Book Tour. Click here for all her online book tour dates! There is no one on earth like you. 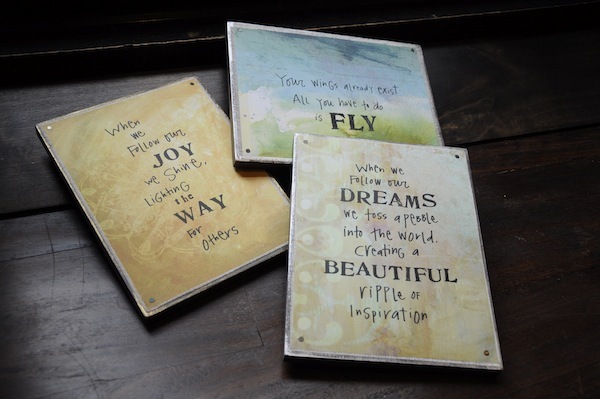 Leave a comment today through December 20th and be entered to win one of the three wall art pieces pictured below! Christine Mason Miller is a Santa Monica-based artist, writer, and explorer. Her next book – Desire to Inspire: Using Creative Passion to Transform the World – is now available at bookstores everywhere and Amazon.com. Follow her adventures at www.christinemasonmiller.com. Wow! Her book looks like another I need to add to my reading list! I’m in that creative world right now. Lovely! I always feel happier when I read articles on your site :). Desire to Inspire! Wowsa, Christine and Jenn! You two are such a gift to the creative community. Thank you for bringing your gifts into the light during 2011. You inspire the rest of us creatives to believe in what we’re here to do. Be yourself – there’s only one YOU! Right on, sistahs!! wonderful to see someone following her own voice and creating from that place of knowing! thanks for sharing!! Creativity is power. This kind of power helps us believe that we can create a meaningful life for ourselves. Art and creativity truly can transform the world. Congrats on the book and bravo to the sentiment that we need to “do our own work” to make a difference in the world!! Just that small excerpt was inspiring and makes me want to read the whole book! Would live to have some art. Thank you Christine for such a great reminder that a place exists for everyone. It is so hard, sometimes, not to get paralyzed by all that is already out there- there are so many folks with immense talent, it is easy to throw in the towel. Thank you Jenn for celebrating Christine and for this great giveaway! It sounds amazing. On my Christmas wishlist! Wow. Congratulations for bringing your inspiration out into the world. You have journeyed to your creativity and now completed the journey to publishing. Fantastic. I hope you have a wonderful Holiday Season feeling the love that the world has for you. Love it… want to touch it right now… just be able to open it up and start reading. Very appealing. I need to know more about the Instagram gadget thingy! LOVE Christine’s work! Just ordered the book for my Christmas present to myself. LOVE Jennifer’s work. Ordered her book earlier this year. I’m inspired by both of you! lovely! I love collaborative works. What an inspiration! The wall art look like gentle reminders we all could use. Congrats, Lyn! You’re the winner of the wall art. We’ve sent you an e-mail to coordinate getting the prize to you. Enjoy! Wow!!! OMGosh! I can’t believe it! How lucky am I.
Thankyou so much I am absolutely thrilled.! !